AquaKids® Waterbaby Classes provide a time during the day for the parent and baby to relax and enjoy each other. Our Waterbaby program uses games and songs to make swimming fun! Waterbitties classes are FREE from 2-5 months. All Waterbaby 1 classes are self-paced, meaning you may join at any time. Each class level has specific goals that allow babies and toddlers the ability to gain greater independence in the water. 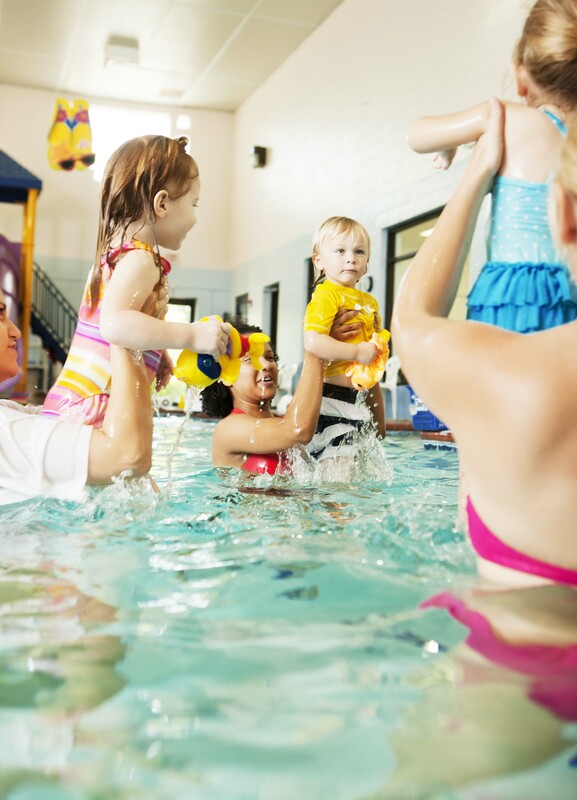 Waterbaby classes are parent participation and students are required to wear a non-disposable swim diaper. Please see our Swim Diaper Policy for more information. Want to see how fun AquaKids® Waterbaby classes are? Come try a 30 minute class for FREE! Get started today and Request A Free Trial or contact us for more information. To see specific goals of each level, see AquaSteps®.